Karnataka has been ranked the first amongst all states to attract maximum investments. This position was held by Gujarat last year. Other leading states were Maharashtra, Telangana and Chattisgarh. Maharashtra is set to become the first in the country to make its MBBS curriculum gender sensitive. By 2017, a new, gender-sensitised curriculum in at least five disciplines will be taught at medical colleges. A pilot project is already under way and third-year MBBS students in six medical colleges are being taught to have a social understanding and not just medical knowledge when they treat women patients. For the first time, researchers in India have found that mice and rats exposed to endosulfan suffer from DNA damage and genomic instability. The research has been led by the Department of Biochemistry, Indian Institute of Science (IISc), Bangalore. Endosulfan has also been found to increase the damage by promoting erroneous repair of the broken DNA strands. Erroneous repair would lead to genomic instability, which may cause cancer and genetic abnormalities. The Wildlife Institute of India (WII) will now house the country’s first repository on tigers, under its new Tiger Cell. The Dehradun-based WII has about 23,000 images of tigers. The Tiger Cell will assist in population assessment of tigers, law enforcement, wildlife forensics, infrastructural development and mitigation, smart patrolling and have an advisory role in policy formulation. Urban Development Minister Venkaiah Naidu coined a new abbreviation ‘MODI’ — “Making of Developed India”, and has launched a new ‘Swacchata’ App. This is aimed at increasing popular participation in the Swachh Bharat programme. A helpline number has also been launched. People can now dial the toll-free number 1969 to seek information about the ways of participating in a cleanliness mission and also enquire about the status of their applications for the construction of toilets. The All India Radio‘s (AIR) cross-border Bangla service will be launched on August 23rd. The service is called Akashvani Maitree. 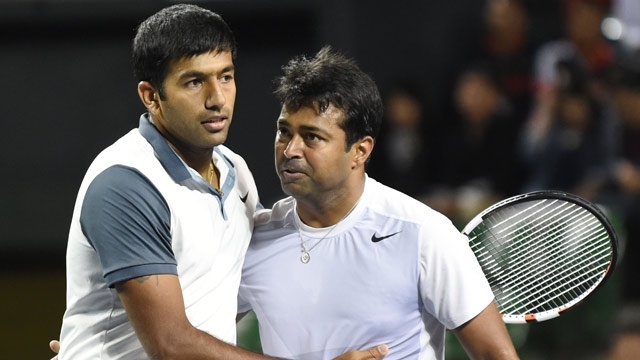 Leander Paes and Rohan Bopanna have exited from the Olympics after losing to the Polish duo of Lukasz Kubot and Marcin Matkowski. Paes has 18 Grand Slam titles and an Olympic medal in singles from the Atlanta Games in 1996. He is also the only tennis player in history to play seven Olympics. US teenager Virginia Thrasher claimed the first Rio Olympics gold medal for shooting. She has won the women’s 10m air rifle title. Hanan Dacka, a twelve year old Syrian refugee, was the Olympic torch bearer at the start of the Rio Olympics last week. The decision to make Hanan a torchbearer has highlighted Brazil’s little-noticed role as a haven for Syrian asylum seekers. Brazil has admitted about 2,300 Syrian refugees, according to the National Committee for Refugees, a government agency. Japan marked 71 years since the city of Hiroshima was destroyed by a U.S. atomic bomb. The annual ceremony came just months after Barack Obama became the first sitting U.S. president to visit Hiroshima, paying a tribute to victims of the devastating bomb. About 50,000 participants, including Prime Minister Shinzo Abe and representatives of more than 90 countries and regions, observed a minute’s silence at the exact time the atrocity occurred decades ago. A zoo in Belgrade, Serbia, has claimed that its 80-year-old American alligator, is the world’s oldest live specimen in captivity. Which state has been ranked as the first among all states to attract maximum investments this year? 2. Which state will soon become the first in the country to have a gender-sensitive MBBS curriculum? 4. Where is the Wildlife Institute of India situated? 5. Who is currently serving as the minister for urban development? 6. What is the AIR's cross-border Bangla service called? 7. Who is the only tennis player in history to play seven Olympics? 8. Who became the first sitting US President to visit Hiroshima?